The average 3D printer is a highly useful tool, great for producing small plastic parts when given enough time. Most projects to build larger 3D printed objects use various techniques to split them into smaller parts which can fit inside the limited build volume of most Cartesian-based printers. However, there’s no reason a printer need sit inside a box, and no reason a printer can’t roam about, either. Hence, we get the RepRap HELIOS on wheels. [Nicholas Seward] created the HELIOS and entered it into the Hackaday Prize in 2017, using a SCARA arm to build a printer with a large build volume and no moving steppers. One of [Nicholas]’s students then did a test, in which the HELIOS was mounted on an angled motorized cart, giving the printer potentially infinite build volume in one axis. [Nicholas] expects the current basic setup to be capable of prints 200mm wide, 100mm high, and theoretically infinite length. There’s also potential to enable the device to create large curved parts by allowing the printer to steer itself with independently controlled motors. There’s more work to be done, particularly to allow the printer to locate itself relative to its work space to avoid dimensional issues on large prints, but the preliminary results are highly impressive. We’ve seen other infinite volume printers, too – like this build using a conveyor belt design. Video after the break. We’ve been seeing an influx of repurposed 3D printers recently. Thrifty hackers have been leveraging cheap 3D printers as a way to bootstrap their builds, on everything from laser engravers to pick and place machines. There’s nothing wrong with that, and honestly when you can get a cheap 3D printer for less than the cost of the components separately thanks to the economies of scale, you’d be foolish not to. But there’s still something to be said for the classic RepRap mentality of building things using printed parts and smooth rods. Case in point, the largely 3D printed plotter that [darth vader] sent in for our viewing pleasure. This isn’t somebody sicking a pen on the extruder of their open box Monoprice special, this is a purpose built plotter and it shows. In the video after the break you can see not only how well it draws, but also how large of a work area it has compared to a modified 3D printer. If you know your way around a 3D printer, most of it should look pretty familiar to you. Using the same GT2 belts, steppers, end stop switches, and linear bearings which are ubiquitous in 3D printers, it shouldn’t be difficult to source the parts to build your own. It even uses a Mega 2560 with RAMPS 1.4 running Marlin 1.1.9 for control. The biggest difference is the physical layout. Since there’s no heavy hotend or extruder assembly to move around, the plotter has a cantilever design which gives it far greater reach. As it only needs to sightly lift the pen off the paper, there’s no need for a complex Z axis with leadscrews either; a simple servo mounted to the end of the arm is used to raise and lift the pen. We especially like the use of a tape measure as strain relief for his wiring, a fantastic tip that we (and many of you) fell in love with last year. While it’s hard to beat just tossing a pen onto the business end of your desktop 3D printer in terms of convenience, we think it’s pretty clear from this build that the results don’t quite compare. If you want a real plotter, build a real plotter. For years, the undisputed king of desktop 3D printing conferences has been the Midwest RepRap Festival (MRRF). Hosted in the tropical paradise that is Goshen, Indiana, MRRF has been running largely unopposed for the top spot since its inception. There are other conferences focused on the industrial and professional end of the 3D printing spectrum, and of course you’d find a Prusa or two popping up at more or less any hacker con; but MRRF is focused on exploring what the individual is capable of once they can manifest physical objects from molten plastic. But on June 23rd, 2018, MRRF finally got some proper competition. As the name might indicate, the East Coast RepRap Festival (ERRF) is an event very much inspired by its Hoosier State predecessor. Held in Bel Air, Maryland, hackers on the right side of the United States for the first time had the opportunity to attended a true 3D printing festival without having to get on a plane. Not to say it was a neighborhood block party; people from all over the country, and indeed the globe, descended on the APG Federal Credit Union Arena for the two-day celebration of everything plastic. This inaugural ERRF was, to put it mildly, a massive success. A couple of Hackaday Field Agents were in attendance, and we definitely came away impressed with the event considering it was the first attempt. We saw evidence that the RepRap dream of printable printers is still going strong, a gaggle of new printers and products that will be prying at your wallet this year, and an American-made hotend that challenges traditional wisdom. Of course we also saw a huge number of 3D printing fanatics who were eager to show off their latest creations. We have no doubt that ERRF will return again next year, but until then, you’ll have to settle for the following collection of selected highlights from this year’s show. Many different projects started with the same thought: “That’s really expensive… I wonder if I could build my own for less.” Success is rewarded with satisfaction on top of the money saved, but true hacker heroes share their work so that others can build their own as well. We are happy to recognize such generosity with the Hackaday Prize [Robinhood] achievement. Achievements are a new addition to our Hackaday Prize, running in parallel with our existing judging and rewards process. Achievements are a way for us to shower recognition and fame upon creators who demonstrate what we appreciate from our community. Fortunately there is no requirement to steal from the rich to unlock our [Robinhood] achievement, it’s enough to give away fruits of price-reduction labor. And unlocking an achievement does not affect a project’s standings in the challenges, so some of these creators will still collect coveted awards. The list of projects that have unlocked the [Robinhood] achievement will continue to grow as the Hackaday Prize progresses, check back regularly to see the latest additions! One of the most interesting developments in 3D printing in recent memory is the infinite build volume printer. 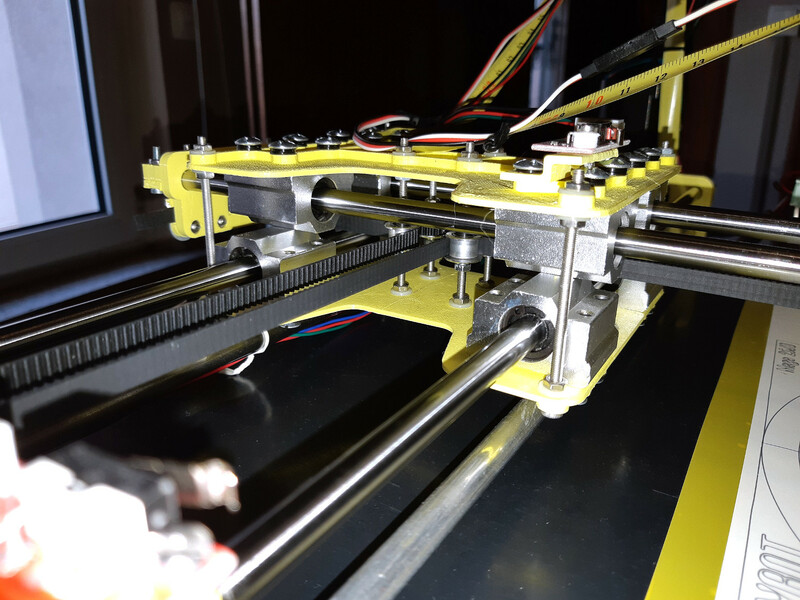 Instead of a static bed, this type of printer uses a conveyor belt and a hotend set at an angle to produce parts that can be infinitely long in one axis, provided you have the plastic and electricity. For this year’s Hackaday Prize, [inven2main] is exploring the infinite build volume design, but putting a new spin on it. This is a printer with a conveyor belt and a SCARA arm. The goal of this project is to build a printer with a small footprint, huge build volume, no expensive rails or frames, and a low part count. It is the most capable 3D printer you can imagine using a minimal amount of parts. Most of the documentation for this build is hanging around on the RepRap forums, but the bulk of the work is already done. The first half of this build — the SCARA arm — is well-traveled territory for the RepRap community, and where there’s some fancy math and kinematics going on, there’s nothing too far out of the ordinary. The real trick here is combining a SCARA arm with a conveyor belt to give the project an infinite build volume. The proof of concept works, using a conveyor belt manufactured out of blue painter’s tape. These conveyor belt printers are new, and the bed technology isn’t quite there, but improvements are sure to come. Improvements will also be found in putting a small crown on the rollers to keep the belt centered. All the files for this printer are available on the Gits, and there are already a few videos of this printer working. You can check those out here. Hacker uses pineapple on unencrypted WiFi. The results are shocking! Film at 11. Right on, we’ve got some 3D printing cons coming up. The first is MRRF, the Midwest RepRap Festival. It’s in Goshen, Indiana, March 23-25th. It’s a hoot. Just check out all the coverage we’ve done from MRRF over the years. Go to MRRF. We got news this was going to happen last year, and now we finally have dates and a location. The East Coast RepRap Fest is happening June 22-24th in Bel Air, Maryland. 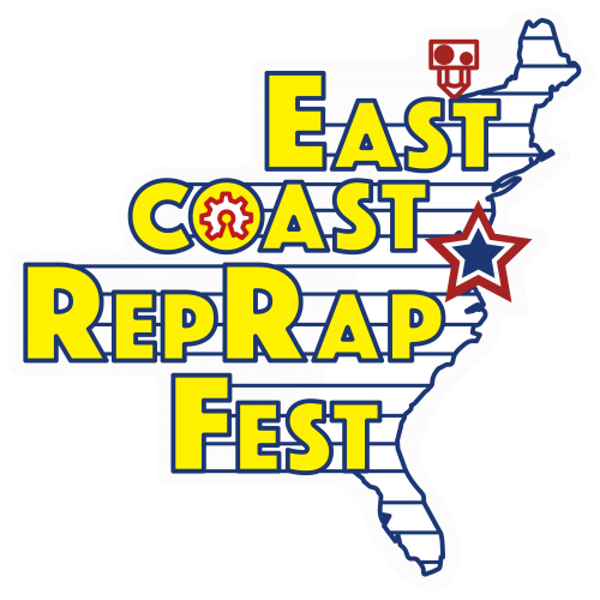 What’s the East Coast RepRap Fest? Nobody knows; this is the first time it’s happening, and it’s not being produced by SeeMeCNC, the guys behind MRRF. There’s going to be a 3D printed Pinewood Derby, though, so that’s cool. జ్ఞ‌ా. What the hell, Apple? Intel hit with lawsuits over security flaws. Reuters reports Intel shareholders and customers had filed 32 class action lawsuits against the company because of Spectre and Meltdown bugs. Are we surprised by this? No, but here’s what’s interesting: the patches for Spectre and Meltdown cause a noticeable and quantifiable slowdown on systems. Electricity costs money, and companies (server farms, etc) can therefore put a precise dollar amount on what the Spectre and Meltdown patches cost them. Two of the lawsuits allege Intel and its officers violated securities laws by making statements or products that were false. There’s also the issue of Intel CEO Brian Krzanich selling shares after he knew about Meltdown, but before the details were made public. Luckily for Krzanich, the rule of law does not apply to the wealthy. What does the Apollo Guidance Computer look like? If you think it has a bunch of glowey numbers and buttons, you’re wrong; that’s the DSKY — the user I/O device. The real AGC is basically just two 19″ racks. Still, the DSKY is very cool and a while back, we posted something about a DIY DSKY. Sure, it’s just 7-segment LEDs, but whatever. Now this project is a Kickstarter campaign. Seventy bucks gives you the STLs for the 3D printed parts, BOM, and a PCB. $250 is the base for the barebones kit. c liked Gamegirl Part II: Back in the Game. Haoxiaoling liked TALON Omnidirectional EV. Chris Gloom liked Vintage film viewers as RetroPies. Haoxiaoling liked Autonomous Navigation - Part 1.
thekidtonystark liked Pseudo random number generator. thekidtonystark liked Multi fx Stomp Box.